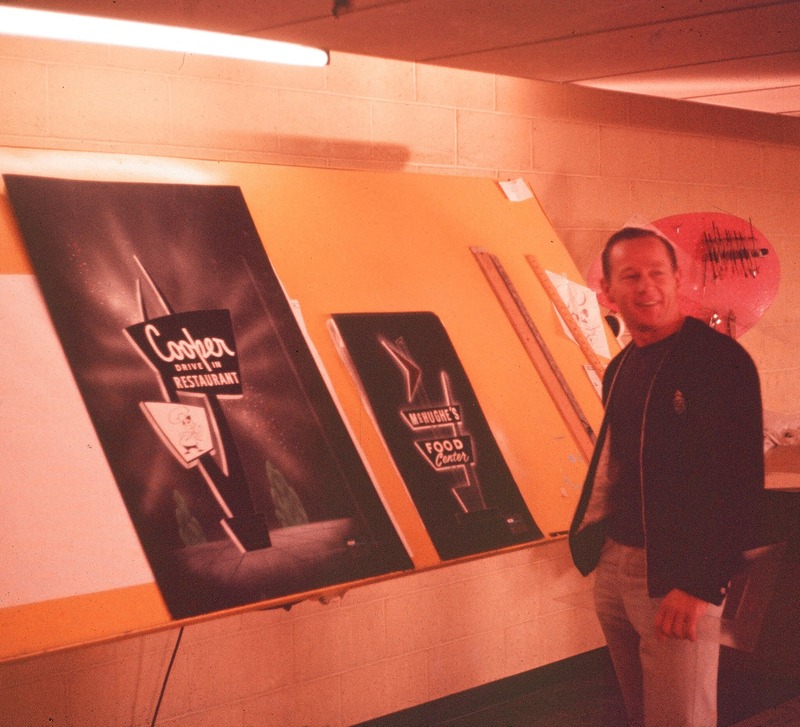 Teague started his career as a sign painter in 1950 in his hometown of Durant. He moved to OKC in 1954 to work at Tinker while also studying art at OCU. Soon, he started his own sign company out of a building at NW 10th and May, but the business grew so rapidly that he moved to a larger space at 4208 S. May, which was then a dirt road out in the middle of nowhere. He spent the rest of his long career making signs and, later, building purple martin birdhouses. He died in December 2015.